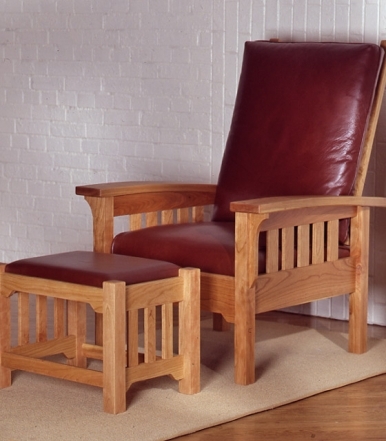 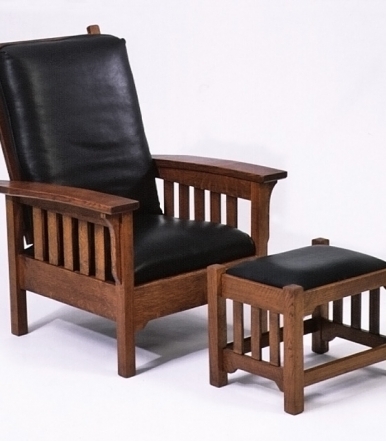 The slats and corbel details with wide, curved arms are the hallmarks of my Morris-style chairs, created as rockers or recliners. 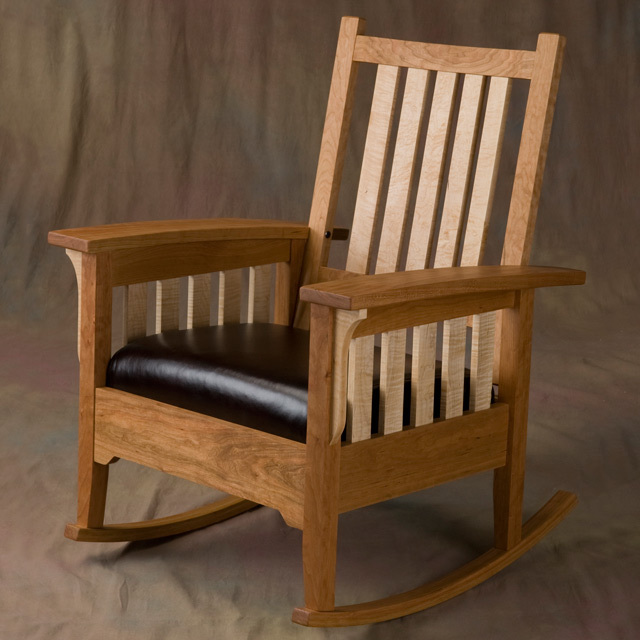 The rockers are perfect for quieting even the fussiest of babies, or enjoying their memories when they’re grown. 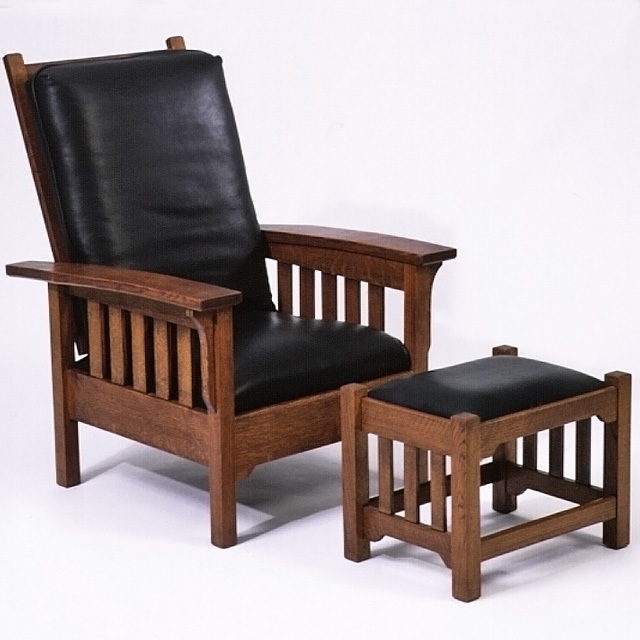 Chair seating features full-grain leather. 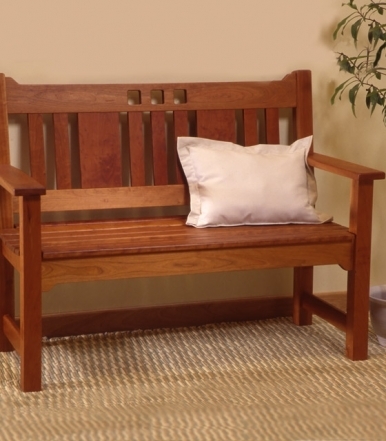 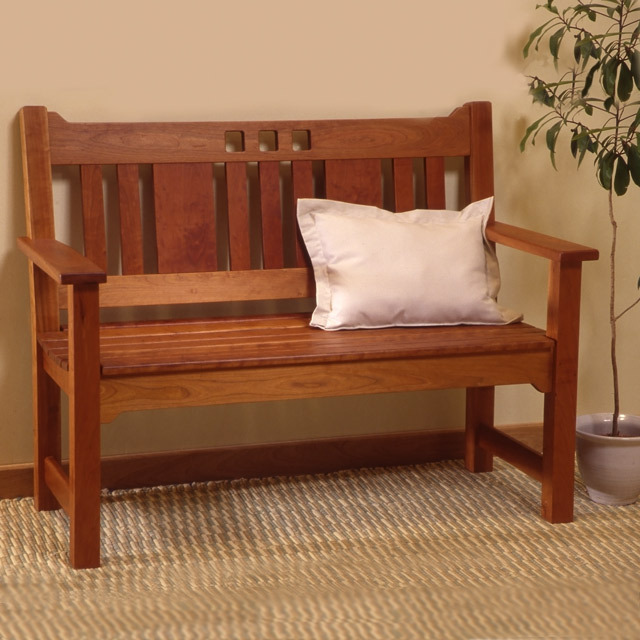 My benches can be made to seat two or three, and are finished for use indoors or out. 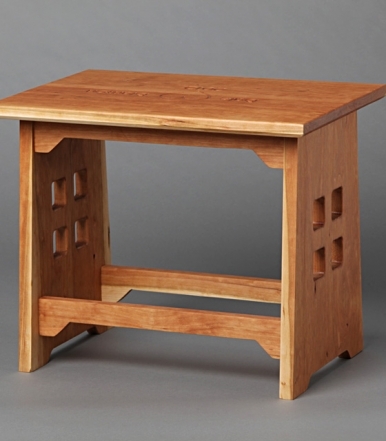 A friend once requested a “Wedding Stool” to commemorate his son’s marriage. 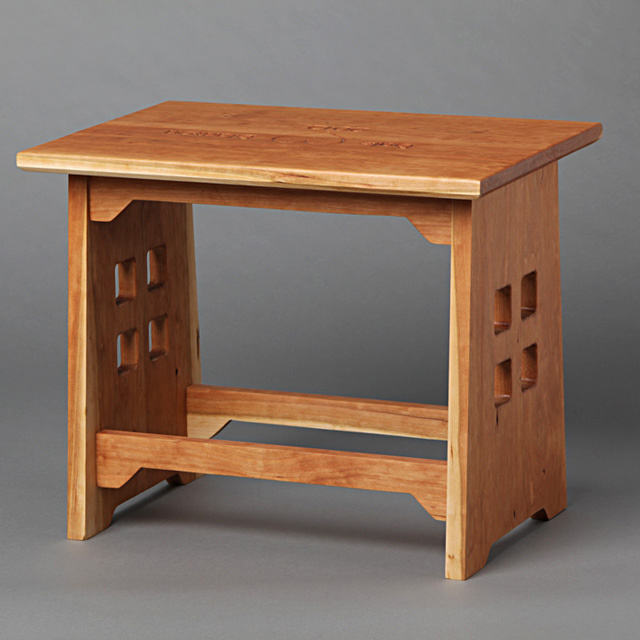 This is the Sandhill Designs spin on an old custom of giving a symbolic stool as a wedding gift. 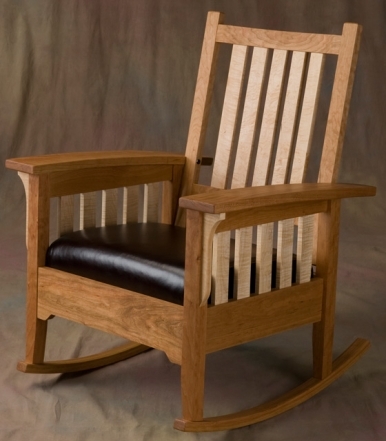 My Wedding Stools can be made into a various lengths up to 48” wide for your foyer, or the foot of your bed, and custom engraving is available for a truly remarkable gift. 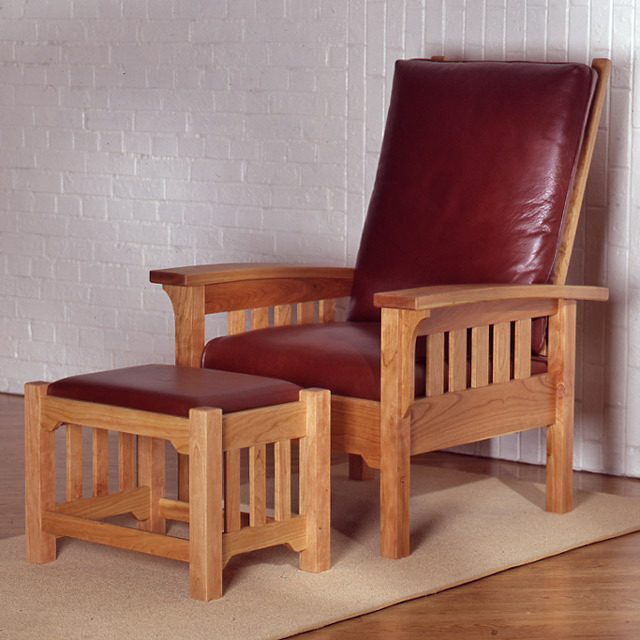 To learn more about the Sandhill Designs chairs and benches shown here, see my Seating Portfolio.